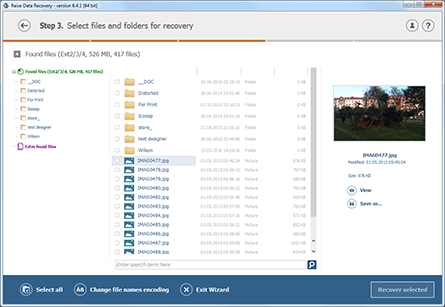 Recovering lost or deleted files from all types of storages formatted with Linux native Ext2, Ext3 and Ext4 file systems. 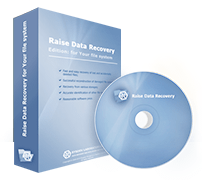 Raise Data Recovery for Ext2-Ext4 can only access and recover data from modern Linux Ext2, Ext3 and Ext4 file system. Recognition of other file systems is implemented for informational purposes only. 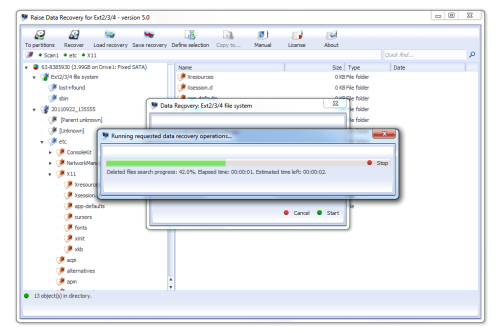 Ext2 file system partially wipes information about the deleted file and particularly file name reference, making recovery of real file names almost impossible. 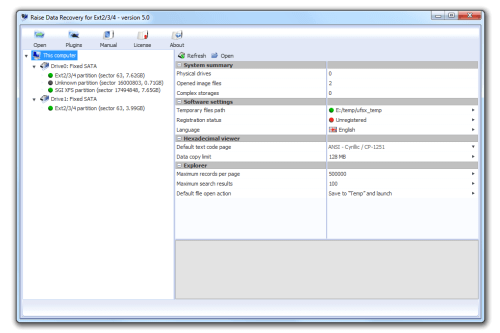 Journaled Ext3/Ext4 file systems perform deletion via the journal. Data recovery results from Ext3/Ext4 systems depend greatly on the journal size and the time the system worked after file deletion for. 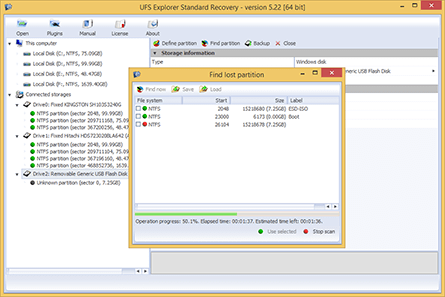 Raise Data Recovery for Ext2-Ext4 substantially increases chances to get data recovery result at the higest possible level with Ext2, Ext3 and Ext4 file systems. The software is adopted to search for lost Ext2-Ext4 file systems created with all latest versions of Linux OS and recover lost and deleted files from them efficiently.